Last week, the European Court of Human Rights ruled that infant Charlie Gard should be taken off life support per the hospital’s recommendations and against his parent’s wishes, but in concordance with previous rulings. Now, for some reason, the Pope and Donald Trump are getting involved. 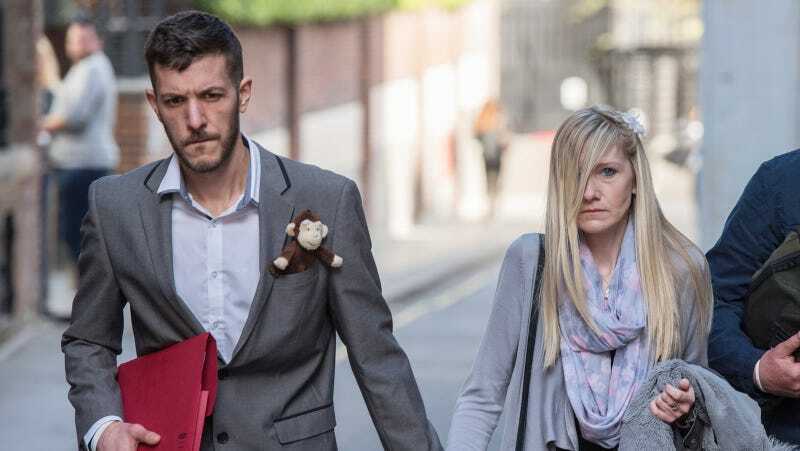 Born to Chris Gard and Connie Yates in 2016, Charlie Gard was already suffering from brain damage and a rare form of a mitochondrial disease which causes muscles to progressively weaken. His parents opted to keep him on life support, against the recommendation of doctors, and petitioned to bring him to the U.S. for an experimental treatment. CNN reports that an extension on Charlie’s life support ended last Tuesday, when the ruling was made official, though there was no immediate plan made for changing his care. The Guardian reports that on Sunday evening, the Vatican released a statement about Charlie, who has caught international attention as his parents fight to continue his life, which said that the Pope thinks of Charlie’s parents with “affection and sadness” and that he “prays that their wish to accompany and treat their child until the end isn’t neglected.” This is a shifting message from a position released by the Vatican’s bioethics advisory panel last week, in which they said patients should accept the limits of medicine. The New York Times notes that Trump is “not known to have expressed a view on the matter previously,” but if his buddy the Pope has something to say about it, so does he.